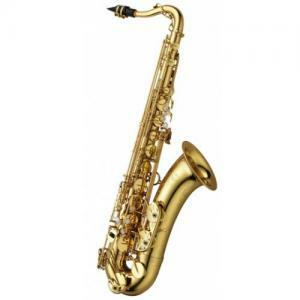 The New Yanagisawa TWO10 range replaces the long standing T991 series. These pro level Yanagisawas have long been popular with more experienced players or those wanting to go straight to the top of the range. Handmade in Japan to the most exacting standards with industry leading materials and precision. The New TWO10 range really does have some major modifications whilst retaining the classic Yanagisawa sound and feel that have made them so popular. - The bore size and tone hole size and positioning has all been modified. This is the core of how a Sax plays in terms of response, intonation and resonance. - Yanagisawa are using a different source of brass; the mix and quality of zinc and copper can affect the resonance in particular, much testing was done to ensure the best tonal possibility from a new source of core brass. In summary this new Yanagisawa TWO10 range offers a depth and full range of tonal colours, this is due in part to the moderate resistance that is present compared to the TWO1 series, the extra ribs and plates that run down the body help attach the key posts with more support and strength to the resonating body tube.